This new CellBlock13 Viper II thong effortlessly blends the best in comfort and style. 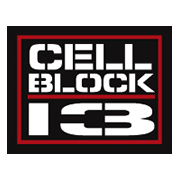 CellBlock13 logo centered on striped waistband contrast trim around pouch. Contoured pouch with piped trim and center support seam.